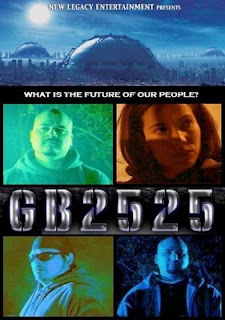 From the writer of Lionsgate's critically acclaimed film LADRON QUE ROBA A LADRON comes the 1st urban/sci-fi film, GB2525. 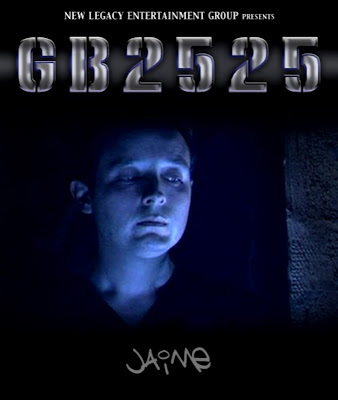 GB2525 DVD RELEASE "NOW AVAILABLE TO VIEW AT HOME"
After a successful festival run GB2525 announces it's DVD international distribution. 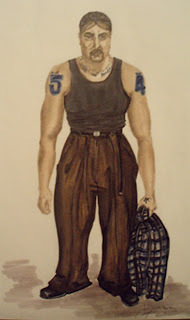 "The Chicano Star Wars" and "the film Hollywood would never make"! Pick up your copy today and spread the word. Chat with us here, let us know what you think. Questions, comments all welcome and will be answered! 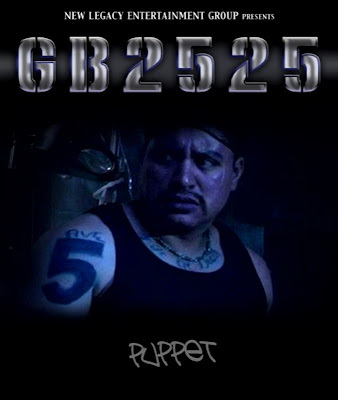 GB2525 opens the Reel Rasquache Film Festival this Friday May 15th at 8:30PM. The Festival will be at the Luckman Fine Arts Complex located at Cal Sate University Los Angeles. 5151 State University Drive LA, CA 90032.
tickets ($9.00) and more information. 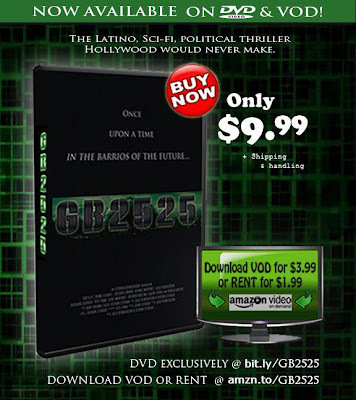 Go to LatinHeat.com for the top story this week: "Director's Cut: GB2525- Surviving Hollywood" by Elia Esparza. 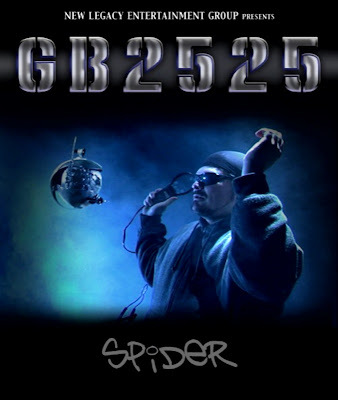 A close and personal interview with GB2525 filmmaker JoJo Henrickson. "It's not a latino film. It's just another great film." 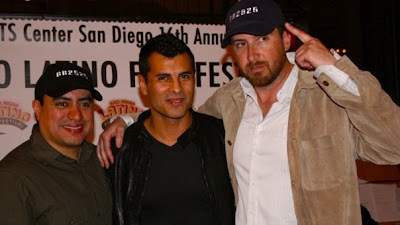 --Robert Aguilar Jr., San Diego Film Industry Examiner. 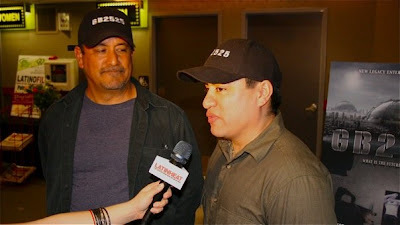 "We want Latinos to be the guys that save the day..." writer/director Henrickson said. 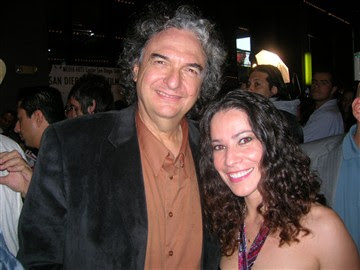 Director Gregory Nava (El Norte, Selena) and GB2525 actress Jossara Jinaro photo-op at the San Diego Latino Film Festival. 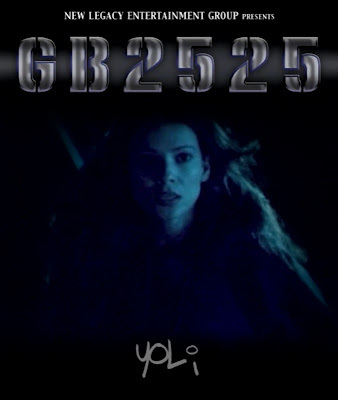 Special guest Mexican-Star Barbara Mori takes a moment to congratulate writer/director JoJo Henrickson on GB2525. Ms. Mori is a fan of Lionsgate's LADRON QUE ROBAN LADRON, also written by Henrickson. GB2525 gives Ethan Van Thillo a special thanks!!! 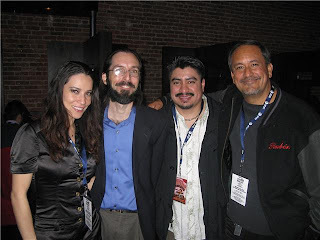 Festival Director Ethan Van Thillo hosted GB2525 at the San Diego Latino Film Festival. He welcomed the entire cast and crew with open arms. He went out of his way to give us a memorable experience. We are all forever grateful for all his hospitality and support. Del corazon, mil gracias Ethan!!! Producer John Estrada on the set of "Despierta San Diego"
Photos by Robert Aguilar Jr.
Reporters Misaki Suzuki, Orville Fitz-Henley, and Tom Johnston-O'Neill interview GB2525 for The San Diego Participant Observer. "IN THE FUTURE, THE ONLY THINGS THAT HAVE CHANGED ARE THE WEAPONS!" 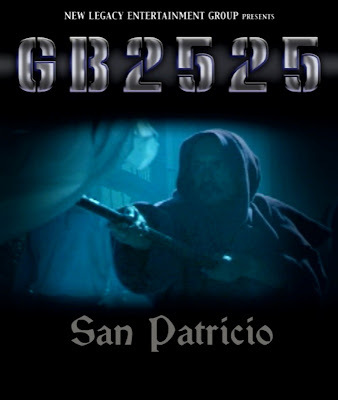 Don't miss GB2525 at the San Diego Latino Film Festival! 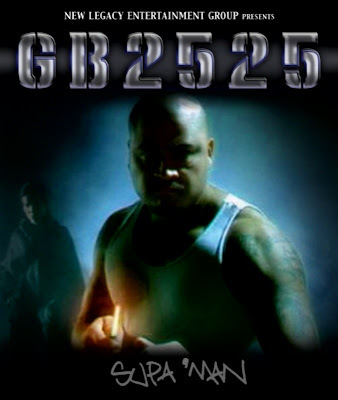 NALIP gives GB a shout-out! Goal: To search out those responsible for killing Tiger and salvage the truce. Gang: 54th Street Gang. Formerly with the Guadalupes. Goal: to help Supa'man search out those responsible for killing Tiger and salvage the truce. Expertise: taking care of business. Goal: Contact allies and maintain communications with all gang leaders to help Sup salvage the truce. Goal: Advise and assist Puppet to secure his new position. Goal: Provide shelter and open Sup's eyes to a greater truth. 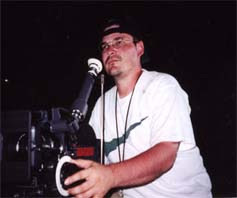 John Estrada produced the short films ANGELO & SPACE BANDA. Both received critical acclaim and festival selections. He was recently selected as a Producing Fellow for Project: Involve, a highly competitive mentorship program by Film Independent. Currently, John is a Senior Coordinator in international Distribution for Universal pictures. Jose Angel "JoJo" Henrickson is a multi-talented actor/witer/director, recently achieving critical acclaim as the screenwriter of the 2007 Lionsgate release, LADRON QUE ROBA LADRON. A native of McAllen, Texas, JoJo's diverse background includes stand-up comedy, television acting, screenwriting, and film editing. 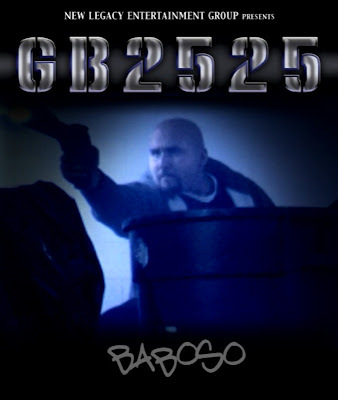 In 2001 he wrote and directed the indie film BARRIO MURDERS which garnered festival selection and video distribution. 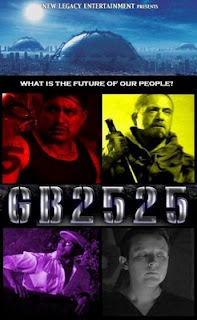 Now as the writer/co-director and co-star of GB2525, JoJo once again displays his spectrum of talent and seeks to redefine America latino cinema in the 21st century. 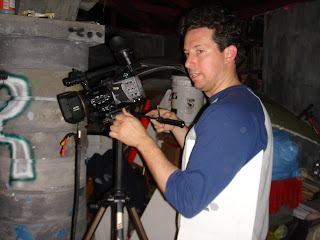 Kieron Michael Estrada is a talented Irish-Mexican director/cinematographer/visual fx artist and a native of Los Angeles, California. In 1998 he received national acclaim for his student short PRODIGAL. Since that time he has directed several short films including festival selections ANGELO(2000) and SPACE BANDA(2002). Kieron was also the recipient of the East LA Chicano Film Festival John Alonzo Cinematography Award. 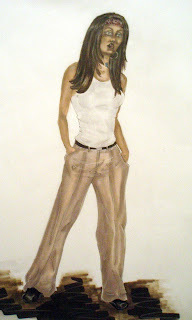 Currently, Kieron is working on the feature "Attack of the 30 ft Chola," an urban-sci-fi action movie. As a composer, in addition to his own films his work includes re-scoring the restoration of the silent classic CYRANO de BERGERAC(1925), for which the original score was lost. His score was premiered by the San Diego Symphony and has become the perennial fixture on Turner classic Movies and French Television. He also scored the Luke Wilson thriller BAD SEED(2000) and the Douglas Spain indie film HUNTING of MAN.